I know, I know, the last think you want to read about is punctuation. Me, too. But I also hate being bad at things, especially things that matter. And yes, commas matter. If you’re a writer, anyway, and I am. After building this list, I’m learning just how bad many published works are about commas. Even my daughter’s picture books are terrible. I hoped another blog I follow would tackle this in a fun an creative way. No software can save you on this one. They didn’t, so I’ll try. If there’s something I’m missing or got wrong, please let me know! I find an example helps clarify this. EX: I wrote a novel, and I want to publish it. However, you can rewrite the sentence as: I wrote a novel and want to publish it. In this case, no comma is needed. The “independent clause” part dictates that both parts of the sentence you are joining have a subject and verb. 2. Use a comma after a dependent clause, phrase, or words that starts a sentence. Another example may help clarify this. EX: When I finish my novel, I want to publish it. Dependent clause basically has a subject and verb, but it is not a complete sentence. Similar to #1 as it has to have a subject and verb. 3. Use commas to note appositives. What is an appositive? The link gives you lots of examples. But here is another is case you don’t want to click. EX. The novel I wrote, a fantasy romance, is 76,000 words. 4. Do NOT use commas with appositives that are essential. Right. So what is essential? It’s part of the sentence that you can’t do without and still get the context of the sentence. The novel I wrote that frustrated my daughter is 76,000 words. Yeah, I’m still a little fuzzy on this. 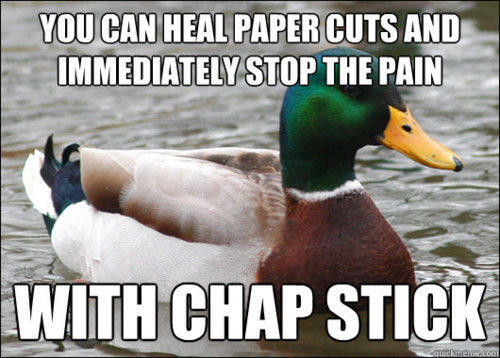 But it seems if the appositive starts with “that”, it tends to be deemed essential. 5. Use commas to separate items in a series. I wrote a novel, a poem, and a novella. Now, there seems to be some difference of opinion on the comma after “poem” in the above sentence. Those who support the Oxford comma say it should be there. Those who oppose it say it shouldn’t. Never knew there was so much controversy in grammar, did you? There are a handful of cases where you need it, and you can find the meme all over the internet. No, you can’t unsee it. 6. Use a comma after introductory adverbs. 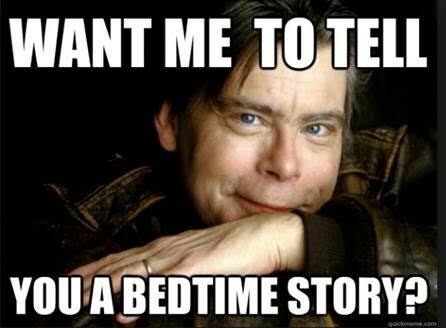 You know, those “ly” words all authors try to avoid after Stephen King laid down his edicts. 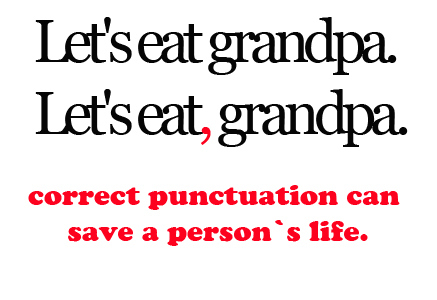 But if you do use them at the beginning of the sentence, you also use a comma. Finally, I finished my novel. 7. Use commas to set off free modifiers that can be placed anywhere in the sentence without causing confusion. I jumped up and down when my novel was published, laughing joyously. 8. Use a comma near the end of a sentence to separate contrasted coordinate elements. The new author was merely ignorant of the publishing process, not stupid. Yes, I’d like my novel published. 10. Use a comma when you use a name. Elizabeth, would you like your novel published? 11. Use a comma between two coordinate adjectives that modify the same noun. Use commas here: The fabulous, amazing novel is 76,000 words. NOT here: The fantasy romance novel is 76,000 words. I wrote a romance novel, not a thriller, as my first book. 13. Use a comma to separate each element in an address or in a city-state name combination within a sentence. This didn’t come up much in my fantasy world, but I suppose it can be useful. Ex. I loved Seattle, Washington. 14. Use a comma to separate the elements in a full date and separate the date from the rest of the sentence with commas. Again, didn’t really come into play in a fantasy romance, but may be useful to others. Friday, May 13, 2016, was a strange day. There are way better blog posts out there on the proper punctuation for dialogue, but as this is a comma post, here are the rules on when to use the comma in dialogue. Use a comma when someone says something. The writer said, “I wrote a novel.” OR “I wrote a novel,” said the writer. You’ll note that all of my examples are nice and simplistic. These rules get a lot more complicated as your sentence complexity increases. But it at least helps to remind me of the basics. And yes, I finally finished my first draft WIP and am tackling a revision of a different story. 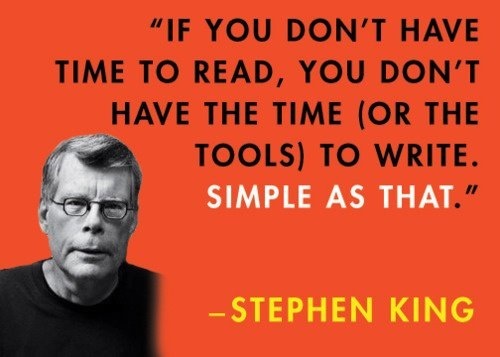 Most writer’s have heard Stephen King’s famous writing advice. I’ve read Stephen King’s book On Writing. It’s an interest read, though I confess, I haven’t reread it since 2008. It’s not easy to admit, but I can be lazy. Reading is easy. Writing, at least for me, is work. Hard work. If allow myself to be lured in by this, I will spend all of my time reading. I’m not saying I don’t read. I read a lot. But I don’t read nearly as much as he recommends. By the time he wrote On Writing, he’d been a full time author longer than I’d been alive. It’s a lot easier to say you don’t have the time to write if you don’t have the time to read voraciously when writing is your day job. This might give me more time as I would never be able to sleep again. Voice is an author’s unique way of writing. It changes over time, grows, matures, but it still is what makes their work unique. I love fantasy romance, but there are a lot of newer authors in the genre. That can be both fabulous and awful. I can find some really great stuff out there, and then some not so great stuff. One book I got 25% of the way through and finally gave up because errors in grammar, punctuation, and spelling kept yanking me out of an already mediocre story. As great as reading is, and as much as I love it (I will NOT admit how many times I’ve gone to bed late because I was reading), reading only gets me part way there. I also need to apply bottom to chair and write. I’d rather have the brain surgeon that’s performed 3,000 successful surgeries as my doctor than the one that has read about it 5,000 times. It’s a skill, and for me, sometimes the only way to learn it is to do it. I’ll keep reading my couple of books a month and make time to write. How about you? 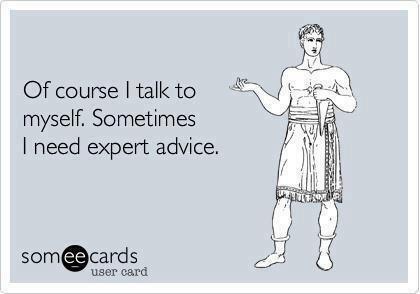 Ever ignore expert advice? Why or why not? Whether romantic advice, career advice, or financial advice, there are a a slew of professionals out there that offer it . Some free of charge. Some we pay for. Yet, I (and I suspect many of us) are not always good at taking it. Even advice we’ve paid for. 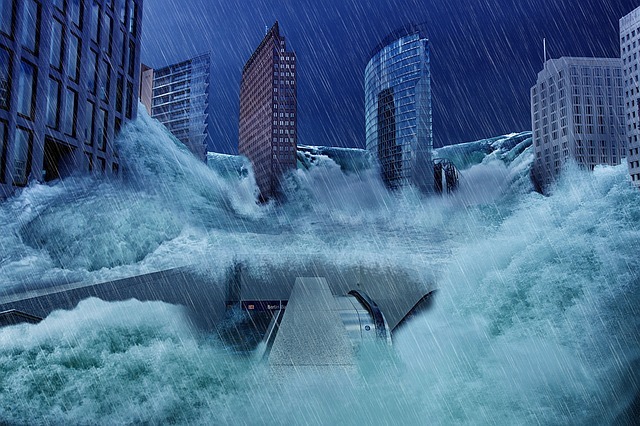 How many stories revolve around a hero or heroine not wanting to listen to their aunt, brother, sister, mother, uncle about who the right person is for them? Especially if it turns out that person was right? 1. The Advice is Bad – We’ve all been given bad advice, even by a professional.Sometimes it’s because we haven’t given them the whole story. Sometimes because they don’t understand. And perhaps sometimes because they really don’t know. Tried this. It didn’t work. Co-workers looked at me like I was from Mars. 2. The Advice Conflicts With What We Want – I know i’m guilty of this. Not one, but two financial advisers told me not to try to pay off my mortgage as quickly as possible. I didn’t want to hear them. I lived through the Great Recession and remember how much belt-tightening we had to do to get through it when our primary income was cut by 50%. I don’t ever want to go through that again. 3. Discouraging – You see this less with professional advice as they are (usually) in the business to help you succeed. 4. Gut Instinct Takes You Another Direction – This is so nebulous, but sometimes, you just know something is wrong. It intrudes on your thoughts during quiet times. You find yourself mulling it over again and again. I have no idea what gut instinct is, (although I suspect it’s your brain working on a problem in the background) but it seems to be right most of the time. 5. It Differs From Other Advice You’ve Gotten – This is always difficult, especially when you’ve gotten advice from two professionals or two very trusted friends/family members. 6. Anger – Or other negative emotions make us much less likely to take even good advice. Here are other good reasons from real psychologists. Granted, these are mostly work related, but they could be applicable. I guess this means I need to look at Point #2 and reconsider the advice an editor gave me on my manuscript. Just because I don’t want it to be true, doesn’t make it wrong. How about you? How willing are you to take advice? What makes you willing or unwilling to take advice? How about offer it? People love games. Video games. Board games. Professional sports. Games on our phones. Games are also a great way of showing more about the personality of the characters we write or learning more about the people we meet. Are they a poker ace? Perhaps chess is more to their tastes. Do they run off and leave their party all the time, or do they hide behind the tank? Do they mark the cards in Candy Land (looking at DD1 here)? Or maybe you just drew Queen Frostine. Perhaps they throw the chessboard to the ground if they’re losing. Maybe they never flinch even when they’re bluffing. The fact that they are bluffing also tells us something about them. There are a couple of tried and true games Regency fiction uses to get characters together, usually croquet or lawn bowling. Archery contests are occasionally used, usually to showcase a character’s skills. Yes, bowling. The sport of kings. In 1511, King Henry VIII banned bowling for the lower classes and imposed a levy on bowling so only the wealthy could afford to it. Another law passed in 1541 (and not repealed until 1845) prohibited workers from bowling except on Christmas, and only in their master’s home and in his presence. So, yes, pretty exclusive stuff if you’re reading or writing historical fiction. In Regency romance novels, croquet is usually depicted as a light-hearted sport used as an excuse for the hero and heroine to be together. The characters are never shown as competitive, and frequently may not even finish the game. The only time I ever played croquet was with my in-laws, and to them, it’s a competitive sport (not quite as bad as Heathers). They even have an annual competition that is pretty serious business, although they also like to play “camp” croquet. Imagine setting up a croquet obstacle course over uneven terrain, rocks, sticks, twigs and sand. Fun to watch, but it has nothing in common with the Regency depiction of croquet. Again, another sport used to keep the hero and heroine together. You see this a lot less often than croquet in what I’ve been reading, and I’ve never read of actual bowling in a novel despite its popularity with royalty. Not sure why it’s so much less popular unless the authors are concerned most readers don’t know what an elite sport it was. I’ve never lawn bowled. Seems like a lot of work to go out and set-up the pins after each roll of the ball. Granted, those that would be playing during the Regency period would have servants to do the unpleasant work. I am not sure if modern-day bowling would have much in common with lawn bowling in England, and the few experiences I have with modern bowling make for funny stories. Not sure those would translate well to historical fiction. You see archery a lot in Regency fiction. Gives a reason for the gentlemen to take off their coats, and allows the hero to demonstrate his skill at the manly art. Sadly, I see few heroines bringing it in archery competitions. As for archery, I’ve never even held a bow. The closest I’ve come to one is seeing them at the sporting goods store. Of course, modern bows are nothing like what someone in the Regency period would be using. Don’t believe me? Go take a look at a compound bow. Not much like the ones we think of from the tales of Robin Hood. So, while I don’t have a lot of experience in Regency games, what I do have a lot of experience in is board games. And not the Milton Bradley ones of my childhood. DH loves games and has collected quite a lot of them. From easy games we can play with DD1 like Stone Soup to games like Twilight Imperium (classified as an epic board game) that comes with a rule book longer than the novel I’m working on. Not sure if board games will ever come into play in Fantasy Romance, but you never know. I need to do more research and learn about the different games people played. How about you? What games do you like? Do you like bowling, croquet or archery? How about board games? Do you use them to show more about your characters? 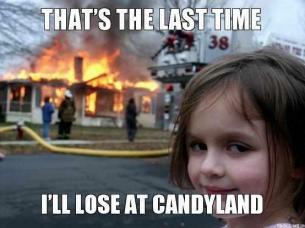 More importantly do your children cheat at Candyland? I know, I know, the last think you want to read about is punctuation. Me, too. But as I contemplate paying an editor to review my manuscript, I find that at $2 per page, I want them doing more than correcting my commas. Which are atrocious, by the way. Just as they are in many of the beta works I’ve read. I had hoped another blog I follow would tackle this in a fun an creative way. They didn’t, so I decided to do some research on “the rules”. 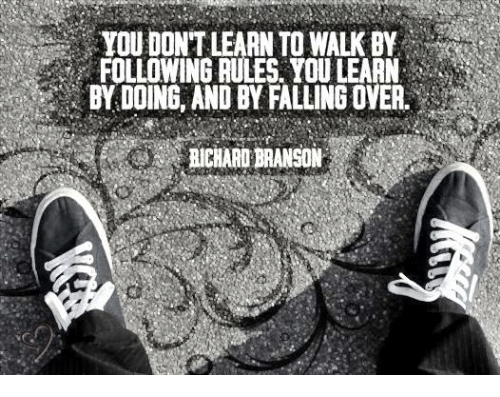 Remember, you only get to break rules once you know them and are breaking them for good reason. Ignorance isn’t a good reason. And there’s a lot of rules, some using phrases I had to google as it’s been a long time since 7th grade English. Here’s what I’ve been able to find. I put this all together in one place for easy reference. And I put in examples as I won’t remember half the jargon later. Please let me know if there are some rules I’m missing! Use a comma before any coordinating conjunction (and, but, for, or, nor, so, yet) that links two independent clauses. – I find an example helps clarify this. EX: I wrote a novel, and I want to publish it. However, you can rewrite the sentence as: I wrote a novel and want to publish it. In this case, no comma is needed. The “independent clause” part dictates that both parts of the sentence you are joining have a subject and verb. Use a comma after a dependent clause, phrase, or words that starts a sentence. Another example may help clarify this. EX: When I finish my novel, I want to publish it. Dependent clause basically has a subject and verb, but it is not a complete sentence. Similar to #1 as it has to have a subject and verb. Use commas to note appositives. What in the blue blazes is an appositive? It gives more information that isn’t necessary. The link gives you lots of examples. But here is another is case you don’t want to click. EX. The novel I wrote, a fantasy romance, is 76,000 words. Do NOT use commas with appositives that are essential. Right. So what is essential? It’s part of the sentence that you can’t do without and still get the context of the sentence. The novel I wrote that frustrated my daughter is 76,000 words. Yeah, I’m still a little fuzzy on this. 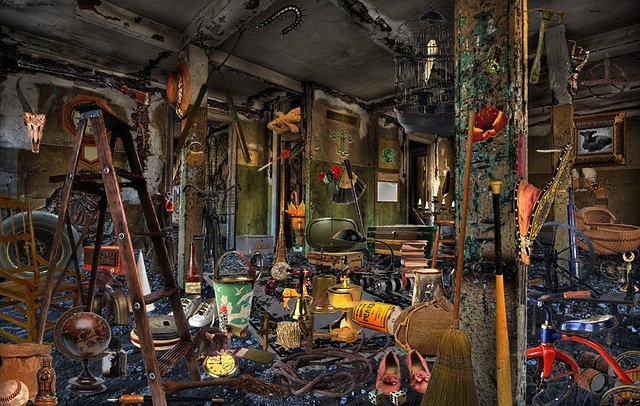 But it seems that if the appositive tends to start with “that” it tends to be deemed essential. Use commas to separate items in a series. I wrote a novel, a poem, and a novella. Now, there seems to be some difference of opinion on the comma after “poem” in the above sentence. 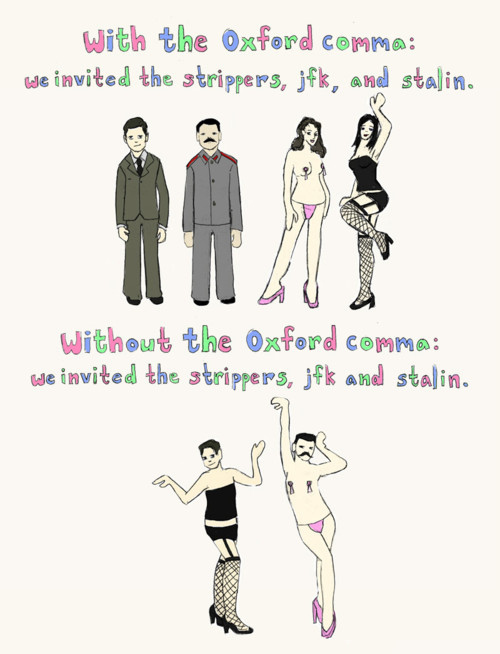 Those who support the Oxford comma say it should be there. Those who oppose it, say it shouldn’t. Never knew there was so much controversy in grammar, did you? There are a handful of cases where you need it, and you can find the internet meme all over, well, the internet. Use a comma after introductory adverbs. You know, those “ly” words we’re all trying to hard to avoid. But if you do use them at the beginning of the sentence, you also use a comma. Finally, I finished my novel. Use commas to set off free modifiers that can be placed anywhere in the sentence without causing confusion. I jumped up and down when my novel was published, laughing joyously. Use a comma near the end of a sentence to separate contrasted coordinate elements. The new author was merely ignorant of the publishing process, not stupid. Use a comma when the first word of the sentence is “yes” or “no.” Yes, I’d like my novel published. Use a comma when you use a name. Elizabeth, would you like your novel published? Use a comma between two coordinate adjectives that modify the same noun. Use commas here: The fabulous, amazing novel is 76,000 words. NOT here: The fantasy romance novel is 76,000 words. Use a comma to offset negation in a sentence. I wrote a romance novel, not a thriller, as my first book. Use a comma to separate each element in an address or in a city-state name combination within a sentence. This didn’t come up much in my fantasy world, but I suppose it can be useful. Ex. I loved Seattle, Washington. Use a comma to separate the elements in a full date and separate the date from the rest of the sentence with commas. Again, didn’t really come into play in a fantasy romance, but may be useful to others. Friday, May 13, 2016, was a strange day. But it at least gets me started.